This HAVS Exposure Management Kit provides you with everything you need to manage Hand Arm Vibration (HAVS) in the workplace, ensuring compliance and reducing the risks of claims. 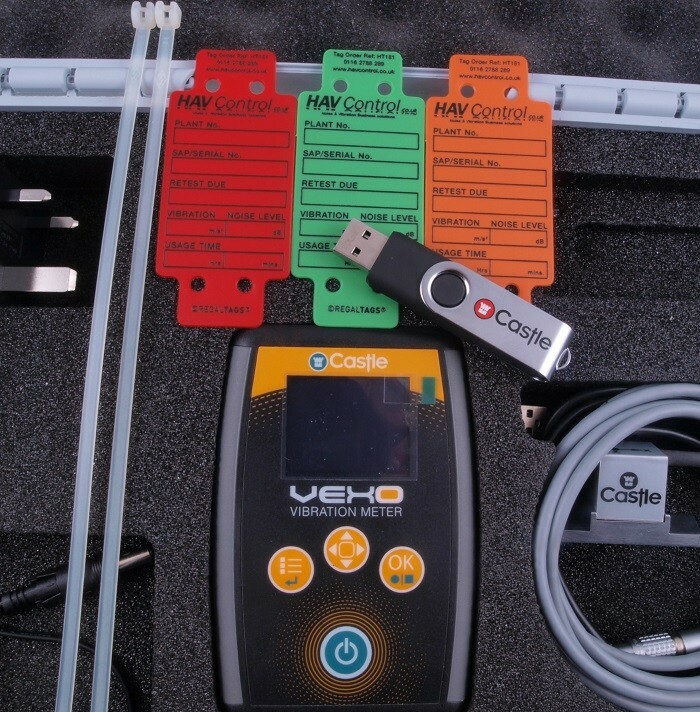 Measure with the Castle Vexo, Monitor with the HAVi and Assess with VibData Pro Software. This Complete HAVS Management Package ensures the continued health of tool operators, - providing you with a robust Hand Arm Vibration Syndrome (HAVS) management system. Working with vibrating machinery tools can cause hand-arm vibration syndrome (HAVS) and, according to The Control of Vibration at Work Regulations (2005), must be monitored to ensure daily exposure limits are not exceeded. 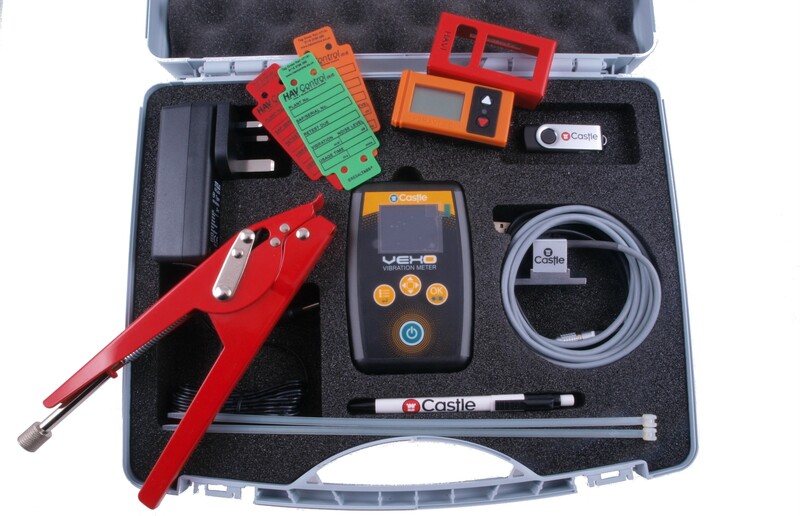 This HAVS Management Kit comes with everything you need to measure and assess vibration exposure in the workplace, protecting your employee's from injury and your organisation from claims, prosecutions and HSE interventions. Thoughtfully created, vibration assessments are made as easy as they come with the use of the included Barbed Cable Ties and Cable Tie Cutter and Tensioner. The vibration measurement accelerometer can be securely attached and detached very simply as you're taking your tool vibration measurements. To accurately monitor exposure times, the HAVi Vibration Indicator is one of the simplest methods available. It's very effective and is configured at the push of a button, making it the UK's most popular HAVS Monitor. Keep a record of each tool's vibration level using the included Tool Tags. 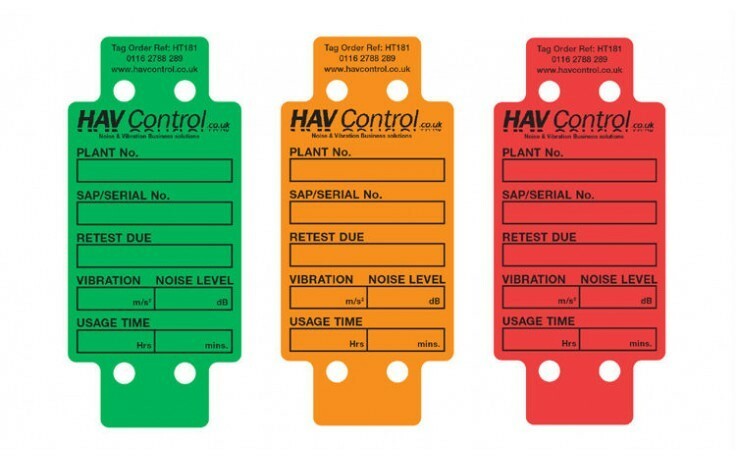 These easily attachable tags clearly inform the operator of the Vibration Level of each tool, enabling them to input this into the HAVi. The HAVi, twinned with the Castle Vexo, ensures the continued health of tool operators, vastly reducing the risk of HAVS claims and HSE interventions - providing you with a robust Hand Arm Vibration Syndrome (HAVS) management system. Price includes 5% discount. 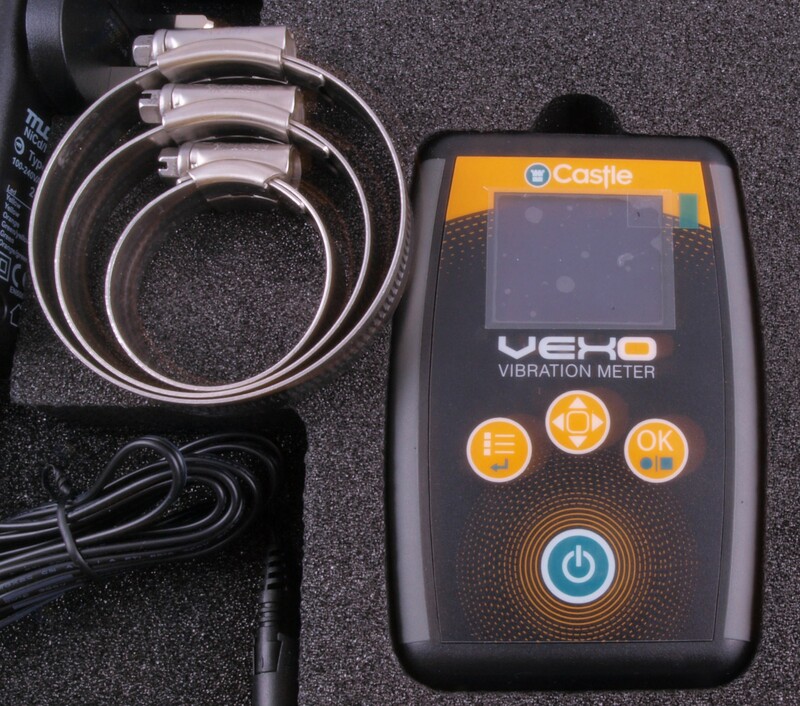 The Castle Vexo H enables the user to carry out vibration assessments of power tools quickly, simply and accurtely, which is probably why it's the most popular Hand Arm Vibration Meter in the UK. 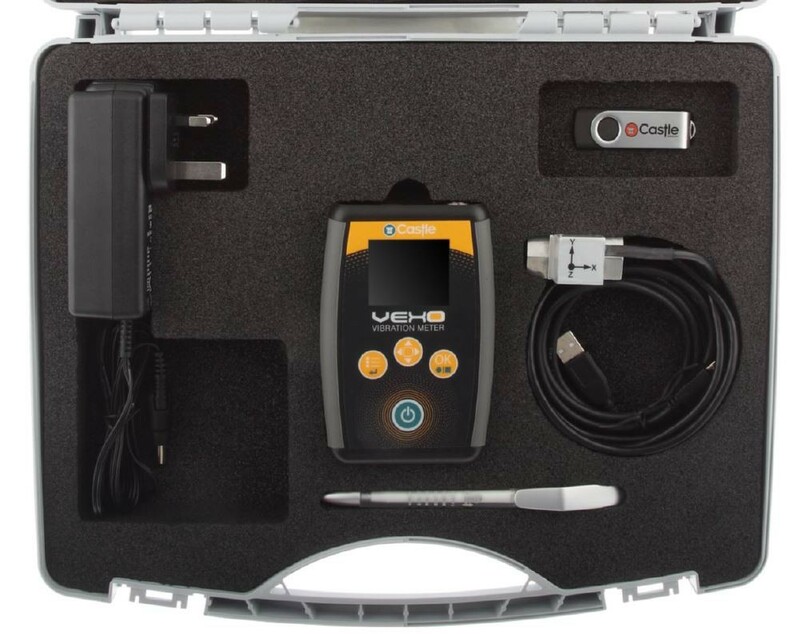 Designed with only 3 operational buttons, it is possible to take measurements with ease which can be easily read on the large colour display or stored for later download to Vibdata Vibration Analysis Software. 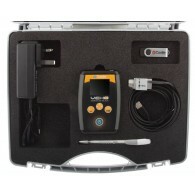 The rechargeable battery pack also ensures your vibration meter is ready and waiting whenever you need it. Built to be tough, in a small and rugged case, the Vexo H Hand-Arm Vibration Meter can be used anywhere and effectively measure vibration exposure to ensure HAVS doesn't become a problem with your workforce. Take the HAVi and simply strap it to the machine being used with cable ties included. Once the HAVi is operating, the trigger times will be continually monitored and displayed using the HSE points system. Once an operator reaches 100 HSE points, the HAVi triggers an amber warning light and they are advised to take a break minimising the risk of harm for that employee.Once an operator reaches 400 HSE points, the HAVi triggers a Red warning light advising the operator to stop using any tools that vibrate for the remainder of day. Once work is completed, the number of points and duration of use are recorded in a log book. It really is that simple to use!HAVi really is a click and go system and the intuitive design to recording makes HAVS management easy to record and audit ensuring full Hand Arm Vibration compliance. 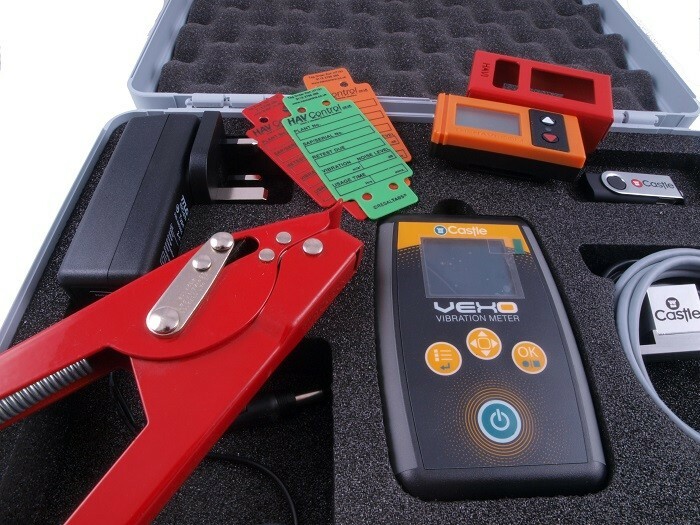 Attach the accelerometer of the Vexo to the power tool in order to accurately measure the vibration magnitude level. Input this vibration level into the HAVi Indicator and attach this to the power tool. 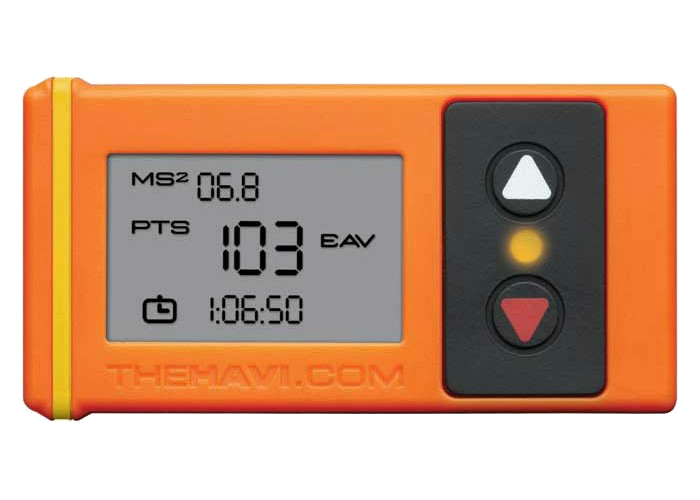 The HAVi will immediately sense when the power tool is in use by detecting the vibration emitted, and accurately count the exposure timing, calculating this with the vibration level to display in real time how many HSE points have been accumulated. 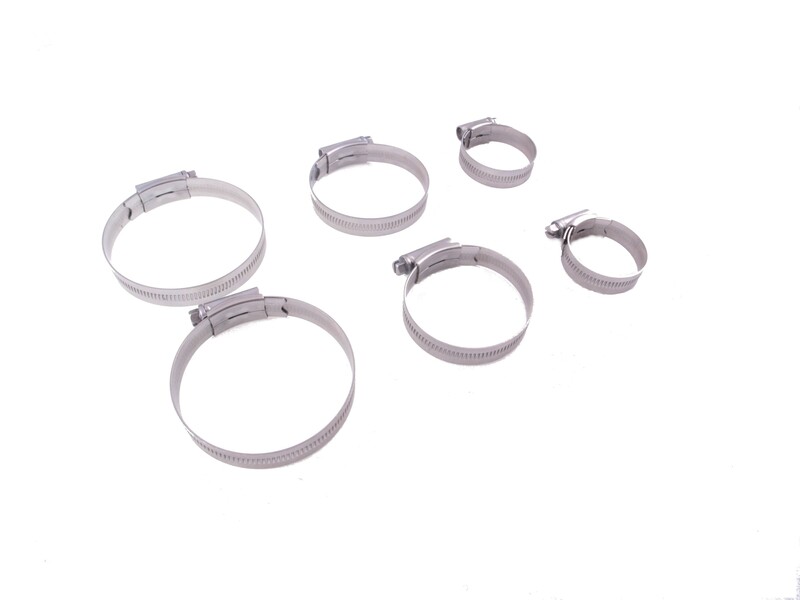 All of your attachments can be made with the included Metal Barbed Cable Ties, using the also included Tensioning Tool and Cutter, making your HAVS Assessments as easy as possible.